Bored with the dull black or white colors coats in Winter? Bothered how to keep warm in cold weather elegantly? Looking for a versatile accessories to match your dresses ? 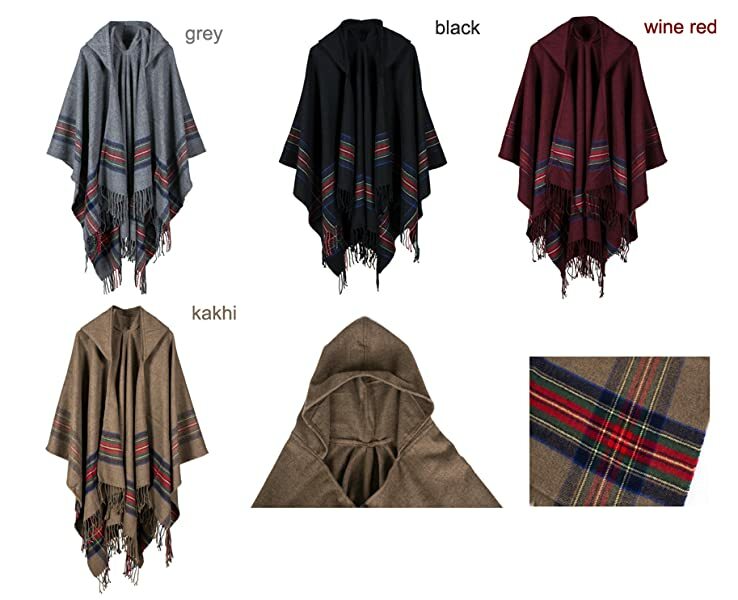 Here, Stylish Poncho Cape is ready for you. The color of actual items and computer display photos may be slightly from the above images. Please allow 1-3cm(0.4-1.2 inches)error due to manual measurement.